In this live training we will learn the updated workflow for creating and populating scroll-lists at run time using the Scroll Rect interaction component. 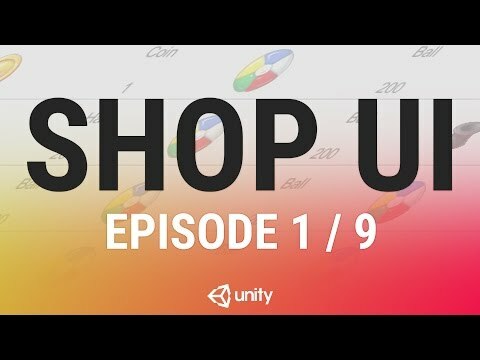 We will use this to create a simple two column shop where items can be bought and sold between two lists. A Scroll Rect can be used when content that takes up a lot of space needs to be displayed in a small area. The Scroll Rect provides functionality to scroll over this content. Part 1/9: Intro and Setup.